Admitted to the Utah State Bar and Federal Bar in 1978. Worked as a trial lawyer at Mann Hadfield & Thorne for 15 years, practicing primarily in the areas of domestic relations, personal injury, construction litigation, municipal law and criminal law. In 1981 represented the prevailing party in the Utah Supreme Court landmark pension rights case of Woodward v. Woodward. Appointed to the District Court bench in early 1993 by Governor Michael O. Leavitt. During almost 22 years on the bench he presided over hundreds of bench and jury trials including cases in the areas of contract disputes, eminent domain, personal injury, domestic relations, real estate, probate, criminal law, water rights, products liability and medical malpractice. two terms as Presiding Judge of the First District Court. 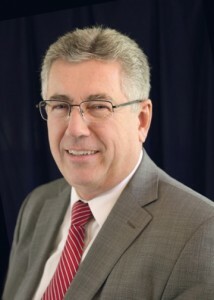 Judge Hadfield currently serves as an active senior Judge. Began private mediation and arbitration in October 2014. As a District Judge mediated numerous cases for colleagues and presided over hundreds of successful settlement conferences between 1993 and 2014. Completed the court approved 40 hour Mediation Training course in 2009.